Celebrate the 10th Anniversary of a magical holiday adventure – available for the first time on Blu-ray, featuring a new digital restoration with enhanced picture and sound. 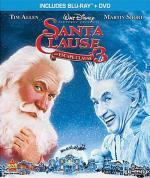 Tim Allen is back in Santa Clause 2, the hilarious sequel to the original Christmas favorite. Scott Calvin (Allen) has been Santa Claus for the past eight years and all seems merry... until his son Charlie lands on the "naughty list." Things gets even more complicated when Scott discovers that he has to marry by Christmas Eve or he'll stop being Santa forever. 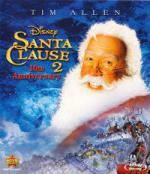 Your whole family will want to unwrap the heartwarming holiday fun of Santa Clause 2 on Blu-ray High Definition! This is a fun sequel. I enjoyed it quite a bit... though it isn't as good as the first part. I liked the whole storyline... making him get a wife and all. I just didn't care much for the fake "Toy Santa" part of it. But over all well worth the time put in to watch it. From one of the greatest fable-writers of all time come two enchanting tales for the whole family! Few storytellers are as delightfully unique as Dr. Seuss - and few animated tales are as beloved as his "How the Grinch Stole Christmas!" and "Horton Hears a Who!" All of your favorite Suess characters are here - and the whole whild, wooly, completely adorable and outrageously imporobably menagerie comes parading your way in one mammothly entertaining presentation! In "How the Grinch Stole Christmas!," the crotchety Grinch, with "termites in his smile" and "garlic in his soul," tries to wipe out Christmas for the cheerful Whovillians - only to discovere that the true spirit of the season lies beyond his covetous grasp! Just the opposite of the miserly Grinch is Horton, the big elephant whith an even bigger heart, who protects the miniscule inhabitants of Whoville from impending disaster in "Horton Hears a Who!" Filled with songs and tongue-twisting verse galore, these Dr. Seuss favorites are a festival of fun for the entire family. This is a very good Christmas special that I try to watch every year. While watching this I can't help to somewhat feel like a kid again. A true classic in every meaning of the word. Definitely one I feel safe recommending. In his first Christmas DVD ever, Larry The Cable Guy presents a Christmas variety show in the vein of the classic shows of the 1970s! Larry The Cable Guy's Christmas Spectacular certainly lives up to its name, featuring special guests Tony Orlando, Vicki Lawrence, Jamie Kennedy, Flavor Flav, Penn Jillette, Jim Breuer, George Wallace, George Wendt, Jeffrey Ross, Carrot Top, Lisa Lampanelli, and a surprise musical guest! Larry's over-the-top sketches and songs–such as "The Roast Of Santa Claus" and "A Very Larry Christmas Carol"–will keep you laughing long after the last bite of fruitcake has been eaten! OK.. what to say about this one? It has some good and some bad.There was a couple sketches I liked in it. Over-all just an average Christmas special. Nothing here to go out of your way to see. A ne'er-do-well thirty-something (Melissa Joan Hart) attempts to appease her family by kidnapping an attractive boyfriend (Mario Lopez) for the holidays. 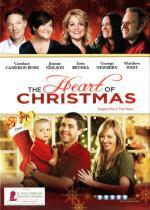 Despite unlikely oddsand dysfunctional family moments, the two fall in love and share a magical Christmas. This is one I wanted to check out as I am familiar with both the main stars. I found it to be a fun, entertaining film. One I found to be worth the time put in to watch it. It is an unusual idea... but I like the way it works. Recommended. In Frogtown Hollow, live Emmet and Ma Otter: a family with little money, but lots of love. With Christmas coming, they want very much to buy each other a store-bought gift – but are barely scraping by doing odd jobs. When a local talent contest offers a special prize, Emmet must make a sacrifice to join his Jug-Band for the competition. Will the Jug-Band prevail or will fierce competition from the Riverbottom Gang steal the show – and the prize? This a deceptively sweet Christmas special. It's about a widowed mother otter and her only son risking everything to win enough money to buy the other a Christmas present. Paul Williams puts together some good 70's folk/bluegrass inspired songs. The Muppets are cute and memorable, and even the minor characters have a surprising amount of personality. It's also surprisingly dark, and though things turn out well for the Otters, it so easily couldn't have. After all, Alice and Emmet have destroyed their ability to earn a livelihood in the hope of a monetary show of love for the other. For me that impracticability mars an otherwise wonderful little special. This was a great, fun movie for the season. For being 5 years old now, the CGI still looks really good. 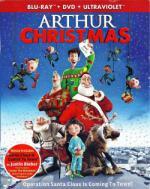 The heart of the film is the relationships between the members of the Santa family, and the characters are pretty well fleshed for an animated film. It has a good story and lots of humor to keep it going as well. This has made it into my yearly rotation, and would be a good addition to the collection of any Christmas movie fan or any family with children. "Every Who down in Whoville liked Christmas a lot." And every family likes How the Grinch Stole Christmas! a lot! This joyous, heart-tickling holiday event based on Dr. Seuss' beloved book and featuring the voice of Boris Karloff has delighted all ages since its 1966 debut. 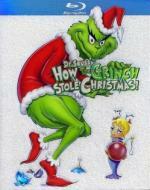 The fun begins when the grumpy, grouchy, Yule-hating Grinch plots to ruin the Whos' Christmas. Can he steal their holiday spirit by stealing their holiday treats? Or does Christmas...perhaps...mean a little bit more? The answers to those questions unfold charmingly under Chuck Jones' pitch-perfect direction. You can't help but have a Merry Grinchmas! A bonafide Christmas classic. I never miss it in December and you shouldn't either. The Brian Setzer Orchestra: Christmas Extravaganza! Really fun, lively modern big band/swing concert. If you like that sort of music, you won't go wrong here. I picked up the DVD of this last year, and it's going to be in the seasonal rotation from now on. 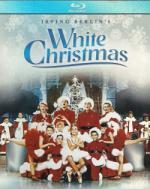 White Christmas is a treasury of Irving Berlin classics, among them "Count Your Blessings Instead of Sheep," "Sisters," "Mandy," and the beloved holiday song, "White Christmas." In this incredible Anniversary Edition, you will find the timeless musical, plus new features that include backstage stories, a look at the actors and more! Two talented song-and-dance men (Bing Crosby and Danny Kaye) team up after the war to become one of the hottest acts in show business. One winter, they join forces with a sister act (Rosemary Clooney and Vera-Ellen) and trek to Vermont for a white Christmas. Of course, there's the requisite fun with the ladies, but the real adventure starts when Crosby & Kaye discover that the inn is run by their old army general who's now in financial trouble. And the result is the stuff dreams are made of. This is a true Christmas classic. It's everything you want in a Christmas film - bright and cheery, romantic, and warm-hearted, more than a touch sentimental, and it has an old-fashioned charm to it that's hard to replicate in films today. I love Bing Crosby, and his rendition of "White Christmas" is still the standard, despite how many people have recorded it. I love Danny Kaye and Rosemary Clooney here too (she's from my home state! ), and Vera Ellen does a good job as well. The heart of the film is Dean Jagger's general, and he's a sweetheart. In short, frothy, fun, and filled with wonderful songs and Christmas spirit, this will continue to be one of the best Christmas films for years to come. Good Samaritan Sarah Fitzpatrick (Lindsey Gort - The Carrie Diaries, Impastor) has a fatal accident just before Christmas and finds herself in the lobby before the gates of Heaven. Certain that she will be let in, she is shocked to find that her name of not on the reservation list. However, she is granted the chance to return to Earth as an "angel in training" with the requirement tto help a soul in need. Sarah has the 12 days before Christmas to secure her place on the list leaving her in the race for her after-life. This is a TV movie I found on Netflix. It is one I enjoyed quite a bit. I enjoyed most the characters and the story held my attention with ease. I found it to be worth the time put in to watch it. 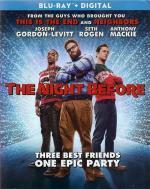 Ethan (Joseph Gordon-Levitt), Isaac (Seth Rogen) and Chris (Anthony Mackie) have been friends since childhood, and for a decade, their yearly Christmas Eve reunion has been an annual night of debauchery and hilarity. Now that they're entering adulthood, the tradition is coming to an end, and to make it as memorable as possible, they set out to find the Nutcracka Ball — the Holy Grail of Christmas parties. This one has some good, funny moments... but it isn't one that will become a favorite. I mean it is worth the time put in to watch it but not one that I will feel the need to watch every year. I found the guy that was throwing the party every year to be predictable... but at the same time who he ended up being a bit on the stupid side. Though that is really just a minor part of the movie. Wow! Now this one is a different kind of Christmas movie. It is a true story....and an extremely emotional one at that. If you are one that will cry from a movie this one will easily have the tears flowing. A very powerful movie with a strong message. It is one I definitely recommend and hope to add to my own collection. 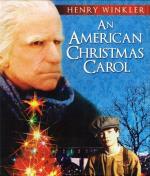 This loose adaptation of the classic Charles Dickens tale moves the story to New England, where stingy elderly businessman Benedict Slade (Henry Winkler) ruthlessly collects debts and makes life miserable for everyone around him. His unscrupulous behavior warrants a Christmas Eve visit from his ghostly former partner and other spirits that show him the error of his ways. Can Slade turn his life around and become a better person before it's too late? I caught this one on Amazon Prime. And I must say I really enjoyed. Actually more then I thought I would. I liked the changes they made in the story to make it somewhat more modern...and I enjoyed Henry Winkler in the role more then I thought I would. This is one I could see myself watch again so hope to get the chance to add it to my collection. 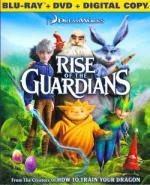 DreamWorks' newest animated adventure is a fun-filled and magical story about the legendary guardians - Jack Frost, the Easter Bunny, Santa Claus, the Tooth Fairy and Sandman - together for the first time! When the evil Pitch threatens to take over the world, it's up to our beloved heroes to protect the hopes and dreams of children everywhere. Filled with non-stop action and laughs, it's a dazzling family film that's being hailed as "an instant classic. You will believe." I thought this was really pretty good. The animation is absolutely gorgeous, and some of the details are simply beautiful. The frosting effects Jack does are so well done, as are Sandy's dreams. I enjoyed all of the characters, from Russian Santa, to badass Aussie Easter Bunny, to sweet little Sandy. Jack's a bit more predictable character archetype (lonely, brooding teen), but he makes a good protagonist for a kids film. Pitch makes a very suave villain, especially with Jude Law's voice behind him. The plot is pretty predictable though ... but that can be said of almost every movie out there aimed at the younger audience. But that doesn't ruin the enjoyment or charm of the movie. This may likely make it into rotation for holiday films, provided room can be found. Just a really fun film.